Looking for some help on how to maintain a fishing rod? 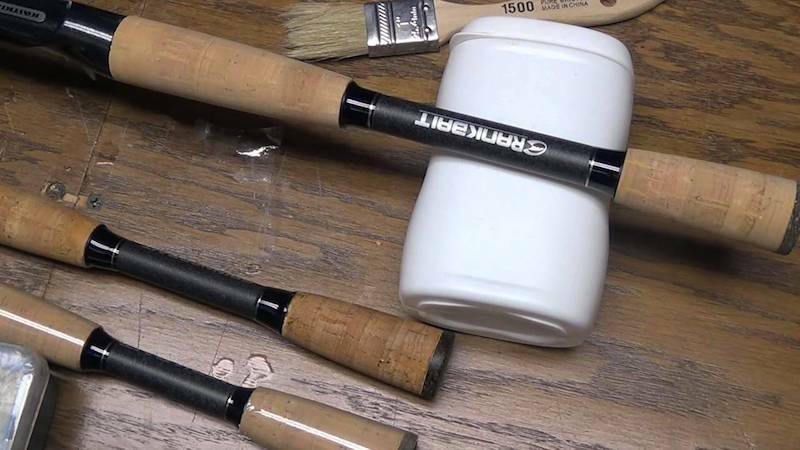 You just have to follow these 9 easy steps and your rod will be safe from destruction. 1. To reduce the wear on your line, fish with the guides aligned. Guides are metal rings which hold the line to the rod. Sand nicks the guide rings so you can prevent the breaking of the line when you have caught a fish. If you can’t remove the nick with sandpaper, then you have to replace the guide. Using a magnifying glass, inspect the rod for nicks, and then pass a cotton ball through the rings. This will be able to catch any unseen nicks observed from using the glass. Check the guide rings for rust. If rust is found, replace the ring. You can also sand the rusted fishing rod with sandpaper. 2. Avoid banging your rod on rocks, other surfaces, and the boat. As you know, rods are really fragile, so even small scratches or nicks can be the result of breaking. 3. Clean the rod with mild detergent, vinegar, lukewarm and cloth every time you finish fishing. If your rod has dirt on it, remove it with a toothbrush or a soft-bristle brush. Allow it to dry before you put it away. 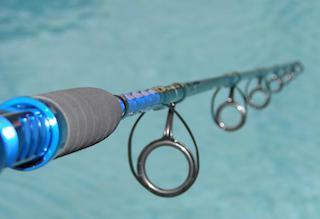 Also, take extra care when cleaning your rod after saltwater fishing because there are higher chances of corrosion. 4. To prevent any friction, rub the joints of the rod with paraffin or wax. The ferrules(joints) are the places where the sections of the rod join together forming a rod. 5. 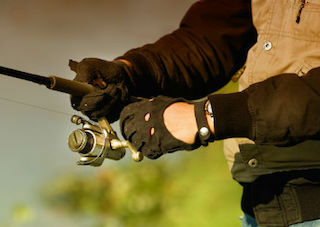 If your rod has a handle cork, use gloves when fishing. 6. Fill the small holes with the mixture of wood glue, cork filling or wood putty. 7. 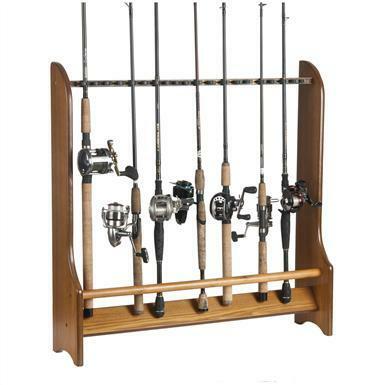 The best way to store fishing rods is by using a rod rack for storing the rod horizontally or vertically. 8. 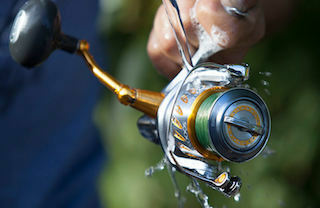 If you want to protect your line, loosen the drag just before you store your reel and rod. 9. If you just finished fishing in saltwater, you have to remove the line from your reel and rod before storing it. The oil that comes from your skin can damage the cork and make it wear out sooner. If it is already worn out, sand off the cork grip and wet the rod grip with waterproof, fine sandpaper. After that, just apply soap on the sandpaper and rub the cork. Let the grip dry after you rinse the soap. Most importantly, don’t rub the rod with sandpaper. If you store your rod improperly, it can result in curvature or damage. You can also store it on a nail in a closet or a hanger if you don’t have a rack. Keep it away from dirt, salt, and substances that can harm it. It is better if you don’t store it in a tube, because it can trap moisture and result in corrosion of the guide rings, reel seat, and the reel. Just follow these few easy steps on how to maintain a fishing rod and you will have a long-lasting rod for usage. If you wish to replace your current wear-off fishing rod, check out our Best Fishing Rod Brands. We have listed down the well-known brand in fishing gears world.